SC: What was your reaction to the delay announcement? Do you think the AtV information is necessary, or a smokescreen? 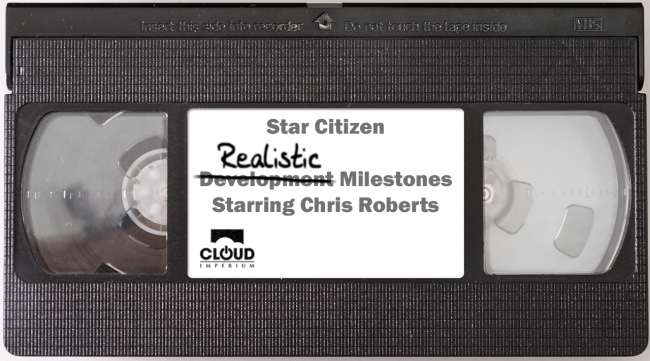 Let us know your thoughts on those or any other Star Citizen issues. E:D: Will you be firing up your Beta Chameleon to test the Karma system in Elite? Excited about the new Fungus Among Us? Good podcast. Believe it or not the goons told me about this. To the second, I haven’t fired up Elite in awhile from being busy but I’ve been meaning to get back into it. That’s a solid point about Chris Roberts’ perfectionist tendencies being entirely related to how things look on-screen, and not on whether there’s fun things to do or good game balance or even if it’s playable for longer than five minutes before crashing to the desktop or falling through the level geometry. Judging from his past history and what he’s revealed through CIG’s relentless marketing assault, Roberts seems like a weird combination of obsessive micromanager and disinterested executive: if you’re making a leather jacket for an NPC, he’ll hover over your shoulder all day telling you about it and make you redo it three or four times, but if you’re working on the netcode or wondering how exactly trading is going to work he’s got nothing for you and no real vision for what’s going to be fun for players. We recorded one, but was down one editor, fear not! Skits will still be a thing! When you capitalize it, i get the impression that its a medical condition. Im sorry sir, but you have Skits. While the SC delay announcement isn’t necessarily surprising, I do share your feelings that better estimates should be given. I strive to have different targets for my team than what I communicate to project stakeholders so when unforeseen complications push us back the delay is either nonexistent or less severe. I’m not saying that’s what should be done, but players shouldn’t expect a delay more than a target to be met. Thanks Guys, Love the show. I usually listen to the show while driving so I don’t comment nearly as often as I listen. I was REALLY disappointed that 3.0 got delayed again, but not surprised and not upset. Just disappointed. While I haven’t backed as long as The Immortal One, I’ve been with the project long enough to (fondly) remember ‘WTF is the Dog Fighting Module’ segments. So, not surprised and not upset. I like the ATV coverage and hope that it’ll serve the same purpose as the “blocker reports” of yore. I’m not worried because we’ve always had to wait extra long to get releases and they’ve always been fun to play when we finally get them. . .at least, eventually. . .
Keep up the great radio! I expect delays at this point. Disklos and Acroci also have very good points.